"Alexander Burrowes memorial holy card"
Funeral prayer card for Alexander Burrowes, 1853-1927. The front of the card contains a photograph of Father Burrowes and a prayer. The back of the card contains biographical information, a prayer, and information about indulgences. This card was made by an unknown publisher. Burrowes was president of Xavier University (Cincinnati, Ohio) from 1893-1897. 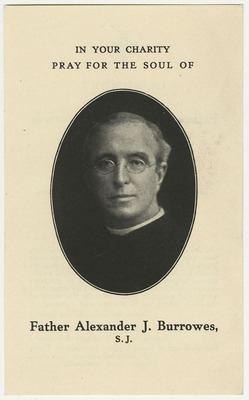 "Alexander Burrowes memorial holy card" (1927). 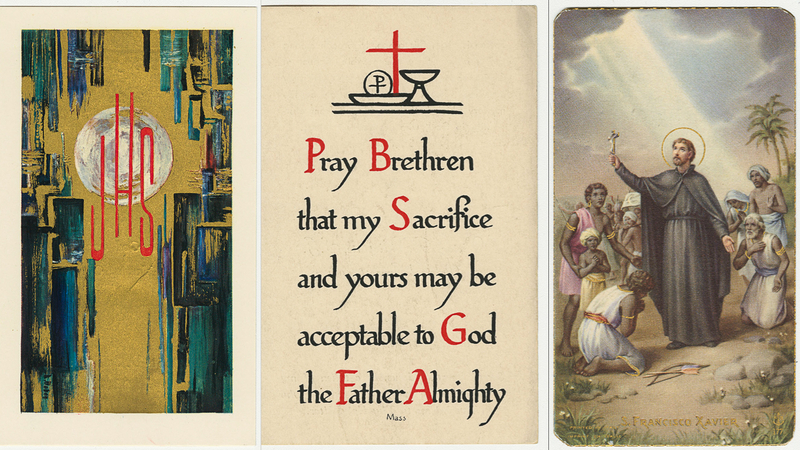 Jesuit Memorial Holy Cards. 9.